Moringa is known as a “miracle tree” and also as a “mother’s best friend”. It has multiple uses. Every part of the tree – leaves, pod, fruits, sap, seeds, oil, flowers, roots and bark has medicinal properties. Moringa leaves are literally one of the most powerful natural medicines known and Moringa leaves benefits are the one we can’t miss out. 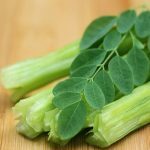 Moringa leaves are a rich source of many nutrients like Vitamin A, Vitamin B, Vitamin C, Vitamin D and Vitamin E. In fact, they have many more vitamins than the richest sources such as carrots, oranges and milk. They can be cooked and eaten in many ways. They can be consumed as juice, vegetable, oil, etc. Check out here some of the amazing benefits of moringa leaves. Moringa leaf contains 18 amino acids which are useful for the basic building blocks of our body, proteins. These help our body to function properly. 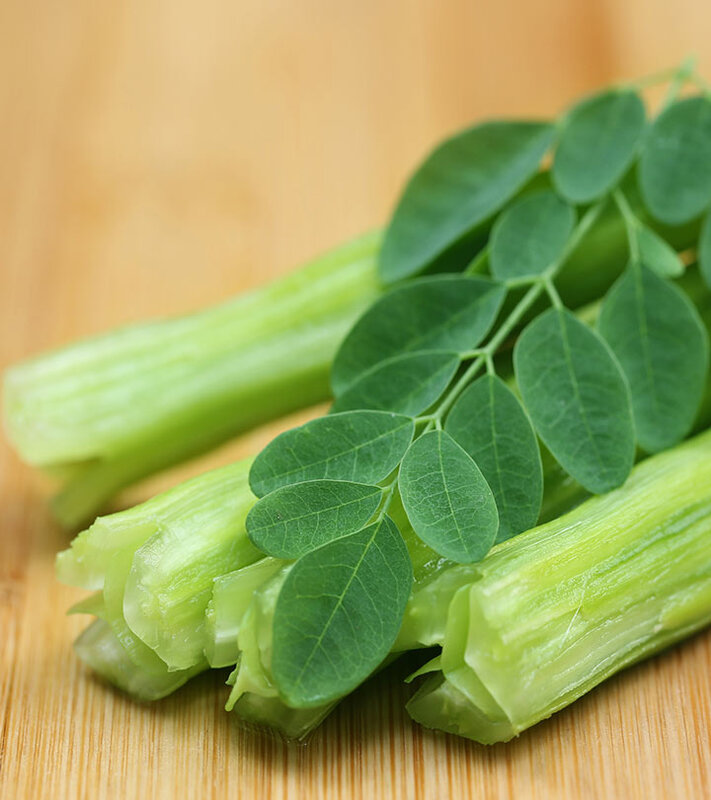 Moringa leaf contains iron, anti-inflammatory and antiseptic properties. This helps to cure minor injuries like bruises, cuts and burns. It also helps in quick healing of injuries. Moringa leaves have Ayurvedic properties. It is a traditional medicine which is given to nursing mothers to help to increase lactation or milk production. Moringa leaves contain fat burning and slimming properties that nourish and energize your body. These leaves are useful to naturally stop junk food cravings and to boost energy for a healthy and active lifestyle. Lower levels of cholesterol help to reduce heart diseases and many other cardiovascular problems. One of the effective moringa leaves benefits is that it help control diabetes. Diabetes decreases insulin production in the affected patients. Moringa leaves provide energy without sugar. 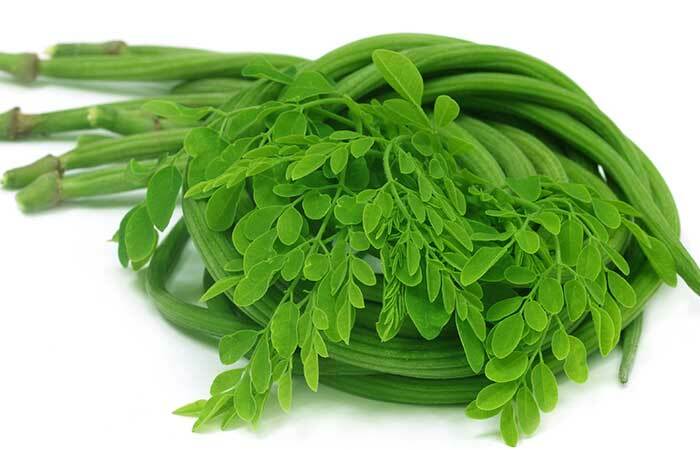 Moringa is considered to be an herbal medicine which reduces sugar levels. Boil in 3 cups of water. Simmer the stew until it reduces to 1 cup. Drink 3 times daily continuously for 2 months. Antioxidants play a vital role in maintaining healthy cells in our body. These can reduce the risk of cancer and slow down the aging process. Moringa leaves contain about 30 antioxidants that promote healthy skin. The leaves can be included in your diet to stimulate metabolism and trigger weight loss. These leaves are also beneficial for the hair and scalp as it has many vitamins and minerals. They can be used to cleanse the hair and scalp, prevent hair damage, dandruff, dry and lifeless hair. These also increase blood circulation of the scalp and boost hair growth. As the blood circulation increases, hair follicles get more nutrients, leading to strong and healthy hair. Moringa leaves help to fight many nervous system disorders. It has shown effective results against migraine, headaches, irritability, etc. Moringa leaves are easy to digest and help to digest food properly. Thus, more nutrients are absorbed by all the parts of the body for maximum benefits. Moringa leaves detoxify and cleanse your body so that it can function at an optimal level. Moringa leaves increase energy and give a feeling of overall well-being. The moringa leaf increases energy in a natural way without any sugar. The extract of moringa leaves is widely used in the cosmetic industry as it has many therapeutic and skin purifying properties. It removes impurities from the skin and rejuvenates it. It also enhances fairness and maintains the natural skin color. Wash off with water for beautiful glowing skin. Hope you like our post on moringa leaves benefits. Include moringa leaves in your daily diet and reap the numerous skin, hair and health benefits. Do share your experience with us. Stay fit, stay healthy!